There is a wide range of intellectual disabilities and the level of disability can vary from person-to-person. Somebody with an intellectual disability may have a reduced ability to think, learn or communicate which poses challenges in relationship building, education, behaviour, inclusion and employment. 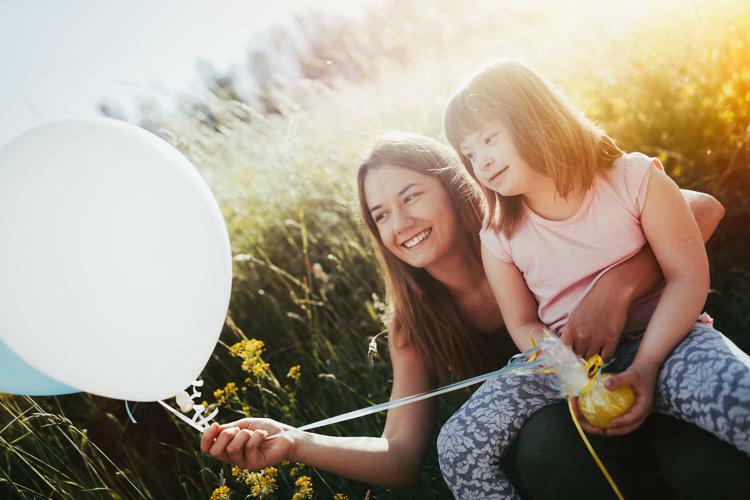 Intellectual disabilities can be genetic or caused by complications during pregnancy or birth, through some illnesses, exposure to alcohol and drugs or after an accident. People with an intellectual disability often have an IQ lower than 70 (the average IQ is 100), have considerable difficulty looking after themselves and their safety, and often find it hard to communicate and socialise. Autism - A lifelong developmental condition categorised by difficulties in social interaction, communication, sensory processing difficulties and restricted interests and behaviours. People with autism relate to their environment and other people differently. Developmental delay - Children develop at different rates. However, when a child develops at a slower rate than other children of the same age and doesn’t reach milestones at the expected times, this is known as a development delay. These delays may occur in the way a child moves, communicates, thinks, learns or behaves with others. Down syndrome - Down syndrome is a common intellectual disability. People living with the disability have characteristic physical features and a delay in development. It is caused by the development of an extra chromosome 21 during pregnancy and affects one in 700-900 babies. Fetal alcohol spectrum disorder (FASD) - A lifelong condition relating to permanent brain damage caused by fetal alcohol exposure. The majority of children and adults who have FASD experience significant cognitive, behavioural, health and learning difficulties, including problems with memory, attention, impulsivity, cause and effect reasoning and adaptive functioning difficulties. Fragile X syndrome (FXS) - A genetic condition causing intellectual disability, behavioural difficulties, such as anxiety, shyness, Attention Deficit Hyperactivity Disorder (ADHD), aggression, learning challenges, development delay, speech and communication difficulties and various physical characteristics. FXS is the most common single gene cause of autism worldwide, with males generally affected with greater severity. Viral or bacterial infections during pregnancy, complications during birth or following an illness, such as measles or meningitis, malnutrition and exposure to alcohol, drugs or other toxins can also result in intellectual disability.